For those of you whose city just received LTE, Sprint has a new way you could break it in. Today the carrier has announced that its customers can now get 5GB of Pogoplug cloud storage for free, and unlimited storage is available for another $4.99 a month. Note, this isn't a discount. Pogoplug's regular price is already $4.95 a month or $49.99 a year. 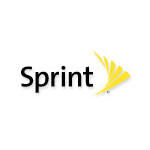 All this means is that you can lump the cost with your Sprint bill. Convenient? Maybe.